The weather outside is HOT, to say the least. I’ve been looking for a recipe for a very light dessert and found one. This is absolutely fantastic, especially if you are counting calories. 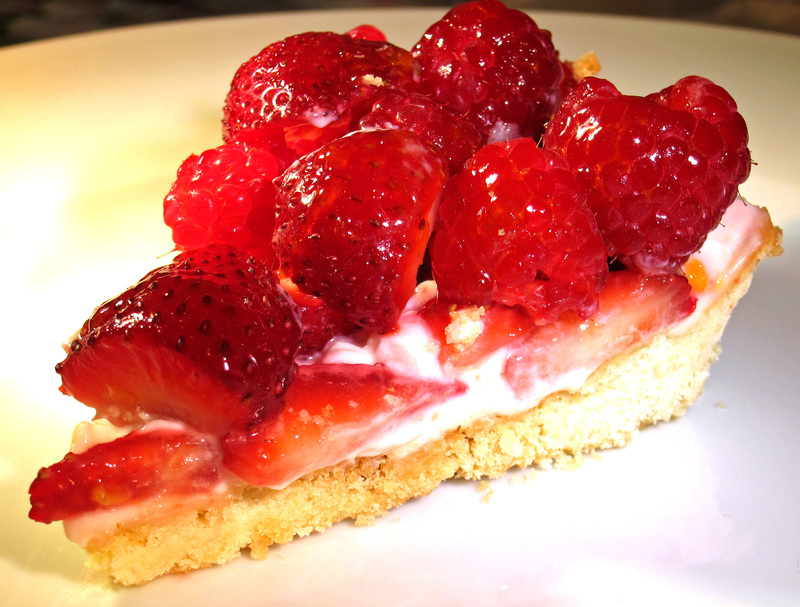 This tart is mostly made up of fruit, with just a thin layer of crust on the bottom. 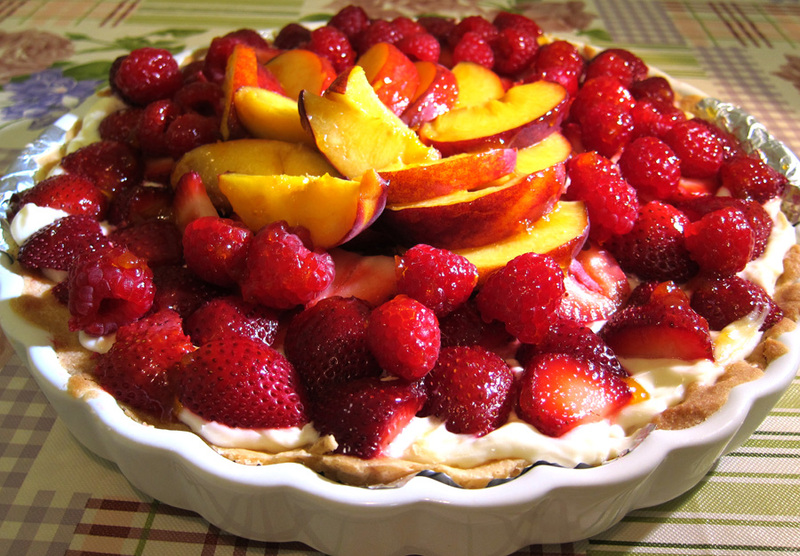 Fresh strawberries, kiwi slices, blueberries, raspberries, peaches (Any fruit you desire). Apricot jam, spoon a few tablespoons into a microwave safe bowl, heat in the microwave for a few seconds until it’s near liquid consistency, spread over the fruit with a pastry brush. For the crust: In a food processor, combine the confectioners’ sugar, flour, and butter, and process until the mixture forms a ball. With your fingers, press the dough into a 12-inch tart pan with a removable bottom, taking care to push the crust into the indentations in the sides. Pat until the crust is even. Bake for 10 to 12 minutes, until very lightly browned. Set aside to cool. Keep the tart in the refrigerator. Remove about 15 minutes before serving. Slice into 8 wedges and serve with a dollop of whipped cream (optional).